On Monday 22 June 2015 The Castle of Mey CD was launched at Marlborough House in London. The CD features the Commonwealth Youth Orchestra and Commonwealth Children’s Choir conducted by Paul Carroll with violin virtuoso Hui-Ti Wang and Maltese soprano Nicola Said. The CD is dedicated to the memory of Her Majesty Queen Elizabeth The Queen Mother. The title work of the CD, The Castle of Mey which was composed in 2009 by Paul Carroll, was inspired by the Castle of Mey which is positioned on the most northerly point of the British mainland. In 1953 the castle, was rescued from becoming a complete ruin by The Queen Mother who then made the necessary repairs so that exactly 60 years ago, in 1955, it became her privately-owned residence. The CD was recorded at Abbey Road Studios in February 2015 and the Commonwealth Youth Orchestra (CYO) comprised young musicians from across all corners of the Commonwealth. The CYO, is an accredited Commonwealth Organisation and in 2012 Her Majesty The Queen, Head of the Commonwealth, honoured the CYO by becoming its Diamond Jubilee Patron. The mission of the CYO is to use music as a means of international dialogue, knowing no boundaries. The CYO has a huge outreach across all the 53 countries of the Commonwealth through its unique initiative, the Commonwealth Music Partnership – Music for Peace & Development, which is linking up all the music schools, orchestras and choirs in the Commonwealth to create opportunities for fully-funded programmes of education and exchange. The 100-strong Commonwealth Children’s Choir give a truly rousing performance of the Commonwealth Anthem and other works on the CD show the orchestra in different lights which help to push the players both technically and musically. The young Sri Lankan composer, Natasha Senanayake, winner of the Commonwealth Music Competition 2014 and CYO’s Commonwealth Music Ambassador 2015/2016, is represented by a piece especially composed for the recording, ‘This Too Shall Pass’, a haunting intermezzo for strings. Also on the recording is “Botswana, Botswana”, a clever arrangement of Botswanan songs and the country’s national anthem. It is dedicated to Mmasekgoa Masire-Mwamba and was written in 2014 to mark the end of her term in office as Commonwealth Deputy Secretary-General. Violin virtuoso Hui-Ti Wang performs the world-premiere recording of Paul Carroll’s Violin Concerto No.2 and Maltese soprano, Nicola Said sings Handel’s aria from his opera Rinaldo, Lascia Ch’io Pianga. “The Castle of Mey” CD is available exclusively through the Commonwealth Youth Orchestra’s website. The Commonwealth Youth Orchestra will make a donation of £1 for each CD sold to the Queen Elizabeth Castle of Mey Trust. The balance proceeds of the CD sales will be used to support the education opportunities created by the Commonwealth Youth Orchestra for its Music Partners across the Commonwealth. 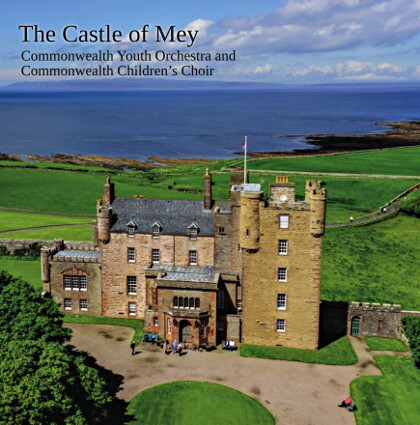 The title work of the new “Castle of Mey” CD was written by the Composer-in-Residence of the Commonwealth Orchestras and Choirs, Maestro Paul Carroll. It was composed in 2009 as a memorial for HM Queen Elizabeth The Queen Mother and is dedicated to TRH The Prince of Wales and The Duchess of Cornwall. The composition, “The Castle of Mey”, was inspired by a chance meeting on 24 February 2009 when the composer was walking down The Mall and he crossed paths with his great friend The Bishop of London, who had just finished officiating at the unveiling of a new statue of HM The Queen Mother. The statue is positioned on The Mall, over-looking St James’s Park and just 200 yards from Marlborough House. A photo of the statue is on the facing page. Inspired by this remarkable statue, Paul Carroll returned to his desk and searched for information about the creation of the statue and in the process he discovered Her Majesty’s privately-owned Castle of Mey on the most northern point of the Scottish coast, which she had purchased in 1953 and rescued it from becoming a total ruin. Struck by the beauty and romance of the castle, and its setting, he composed a programmatic Fantasy, as a memorial to HM The Queen Mother. HM The Queen Mother was consort to HM King George VI, who became the first Head of the Commonwealth when it was established in 1949. When King George VI died in 1952, HM Queen Elizabeth II became the second Head of the Commonwealth who has, for the last 63 years, brought an exceptional and historic continuity to the Commonwealth as it expanded to its current 53 member countries. The mission of the Commonwealth Youth Orchestra & Choir is to use music as a means of international dialogue, knowing no boundaries, and through its initiatives and programmes it brings together communities across the Commonwealth through music, transcending all cultural, political, social and economic boundaries. Its unique major cross-borders initiative, the Commonwealth Music Partnership – Music for Peace & Development, which is linking all the choirs, orchestras and music schools in the Commonwealth is creating fully-funded opportunities for Pan-Commonwealth exchange, collaboration and engagement. Her Majesty The Queen, Head of The Commonwealth, is Diamond Jubilee Patron of the Commonwealth Youth Orchestra & Choir and as part of the Commonwealth Diamond Jubilee Legacy, the Commonwealth Youth Orchestra & Choir has established the Commonwealth Children's Orchestra & Choir and the Commonwealth Symphony Orchestra, which creates international platforms and for musicians in all 53 countries of the Commonwealth. The Commonwealth Youth Orchestra & Choir has received the unique and unanimous support of all 53 Commonwealth Heads of Government and this endorsement was published in the Final Communiqué of the Commonwealth Heads of Government Meeting which was held in Perth Australia in October 2011. The Commonwealth Youth Orchestra & Choir is an Accredited Commonwealth Organisation and a Registered Charity. The Commonwealth Orchestras and Choirs are extremely fortunate in having the British composer Paul Carroll as their Artistic Director and Composer-in-Residence. Over the last 7 years he has written a vast range of original music and arrangements for the performances and recordings of the Commonwealth Orchestras and Choirs. Writing in a fully tonal style, best described as Contemporary Classical, Paul creates music which is accessible across all the regions of the Commonwealth - including complex and virtuosic concertos for the soloists to play with the orchestras and ingeniously crafted compositions for the Commonwealth Children’s Orchestra to collaborate in with the older musicians. In 2009 Paul invented, specifically to demonstrate the different orchestral sounds, an octet of an unique combination of instruments – violin, double bass, trumpet, saxophone, clarinet, bassoon, contra-bassoon and piano – in which each instrument represents a different section of the orchestra. To date, he has composed 12 original works for the octet, in addition to numerous arrangements for this instrumental line-up. Paul’s Alma Mater is the Royal College of Music in London, where in 1985 he became it youngest-ever Professor. A post he retained for 25 years. As a multi-instrumental virtuoso, Paul brings an in-depth knowledge of instrumental technique to his compositions, which is reflected in his compositional style and his exceptional talent as a music-arranger. Hui-Ti Wang has been Concert Master of the Commonwealth Orchestras and Choirs since 2012 and during that time he has performed on numerous occasions both as soloist, orchestral leader and the leader of the smaller orchestral ensembles. Maestro Paul Carroll has composed 7 violin concertos especially for Hui-Ti Wang, some of which he has given world-premiere performances for HM The Queen at Buckingham Palace and also at Lancaster House, St James’s Palace and Marlborough House. Paul Carroll’s violin compositions are tailored specifically to suit Hui-Ti Wang, who gives brilliantly virtuosic and hauntingly eloquent performances every time. Hui-Ti Wang made the first recording of Paul Carroll’s 2nd Violin Concerto in February 2015 and this performance is featured on “The Castle of Mey” CD. Hui-Tui Wang studied at the Royal College of Music, gaining top marks in his class for three consecutive years and gained a Master’s Degree with Distinction at the Guildhall School of Music and Drama. He plays on a very special violin made by Andrea Guarneri of Cremona in 1671. Maltese Soprano Nicola Said is studying with Yvonne Kenny on the Opera Course at the Guildhall School of Music and Drama. Her Opera Course studies are supported by The London Syndicate. Nicola has studied with Shigemi Matsumoto at the Bob Cole Conservatory of Music where she received her Bachelor of Music. She is a Samling Scholar, a recipient of the BOV Joseph Calleja Fund and has received support from the Malta Arts Scholarship, which is financed by the Government of Malta. Nominated by Maltese Tenor Joseph Calleja to attend Mozarteum Summer in Salzburg 2014, she won Second Prize in the Strauss Competition, and First Prize in the Guildhall English Song Competition. In August 2015 she will sing the part of Zerbinetta at West Green Opera House. Nicola is proud to be the Ambassador for the Malta Airport Foundation. Natasha Senanayake was born in Colombo, Sri Lanka in 1987. She currently works as a free-lance composer, music teacher and choir director and is continuing her family tradition of professional musicianship – many of her relatives, including her great grandfather and great-great grandfather, were professional composers and music teachers. Natasha graduated with distinction from The Petrie School of Music, USA with a Bachelor of Music in composition and gained a Master of Music in Composition at King’s College, London. 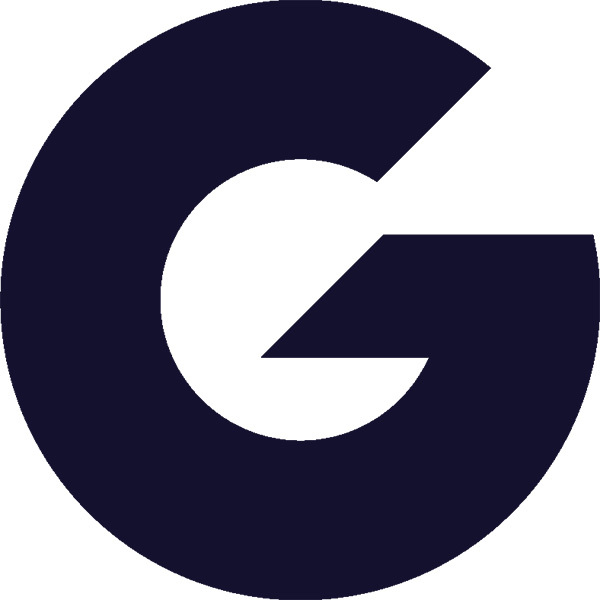 She has a comprehensive list of music works to her name, which are in various genres: world music, film, contemporary classical, choral, pop and music theatre. In 2014 Natasha won the Commonwealth Music Competition – Music for Peace & Development - with her song “United We Stand”. As part of her prize she was invited to compose some music to be recorded on “The Castle of Mey” CD and this composition, “This Too Shall Pass” for string orchestra, was world premiered by the Commonwealth Youth Orchestra at Marlborough House in Commonwealth Week 2015 following which HE The President of Malta made a presentation to Natasha. As part of her prize, Natasha is CYO’s Commonwealth Music Ambassador 2015/16, a role which will involve her in many exciting opportunities to use her excellent music composition skills with musicians from across the Commonwealth.